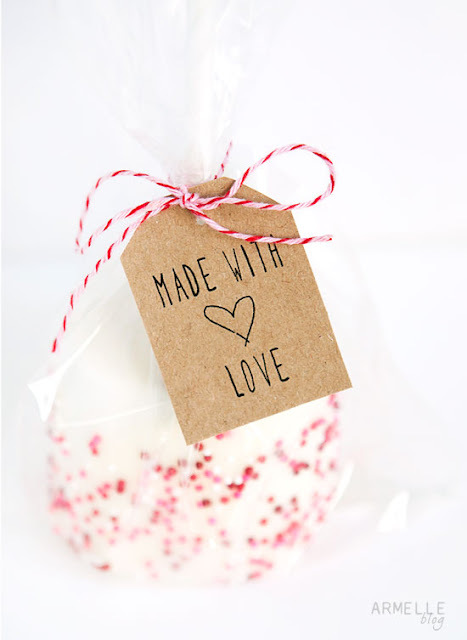 If you love making edible gifts for friends, family, and neighbors then you need this cute made with love gift tag. That and a little bit of bakers twine. It is pretty much a must. You can get these free printable made with love gift tags over at Armelle.